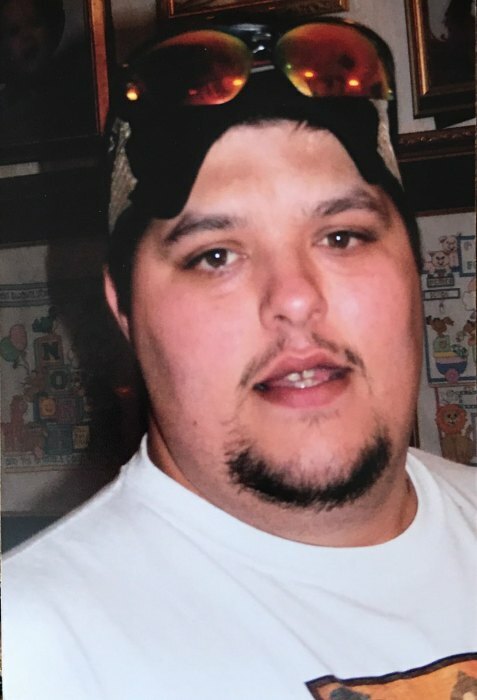 Obituary for Richard Thomas "Burt" Johnson | Delancey-Murphy Funeral Homes, Inc.
Richard Thomas “Burt” Johnson, 38, of Lepanto departed this life on Thursday, July 19, 2018 in Hayti, Missouri. He was born on August 18, 1979 to Raymond and Doris Bass Johnson. Burt was of the Baptist Faith and enjoyed spending time with his family and friends. He is survived by his wife of 17 years: Stephanie Nelson Johnson of Lepanto, his parents, two sons: Logan Thomas and Nolan Wayne Johnson of Lepanto, one brother: Dwayne (Denise) Johnson of Bono, two sisters: Mary (Rodney) Constant of Lepanto and Amanda Thompson of Lepanto, grandmother: Flora Walker of Marked Tree, father and mother in law: Jimmy and Genail Nelson of Lepanto, brother and sister in law: Dewayne and Cathy Nelson of Lepanto, brother n law: Dennis Nelson of Etowah, several nieces and nephews and a host of other family and friends. Funeral service will be held Tuesday at 2:00pm at Delancey-Murphy Funeral Home in Lepanto. The family will receive friends Tuesday from 12:00pm until service time. Interment will follow at Caraway Cemetery in Caraway, Arkansas.